City of Los Angeles. 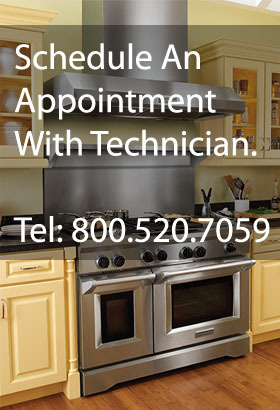 The other incorporated cities are Glendale, Burbank, San Fernando, Hidden Hills, and Calabasas – all of which AES services as factory-trained and certified KitchenAid appliance service professions. KitchenAid, originally known for its stand mixer that was born in 1919, the company has methodically expanded to manufacture all major cooking and cleaning appliances. Now, your Calabasas-area AES expert appliance repair technician has earned KitchenAid factory certification.